Starting Today Everything On J. Crew Factory Is 40-50% Off! That's right — through November 26th, everything on J. Crew Factory is 40-50% off. They weren't kidding when they called it "the most wonderful time of year!" So drop what you're doing, grab your wallet, and let's do the damn thing! Sweaters, coats, pajamas, and more are waiting for you! 1. 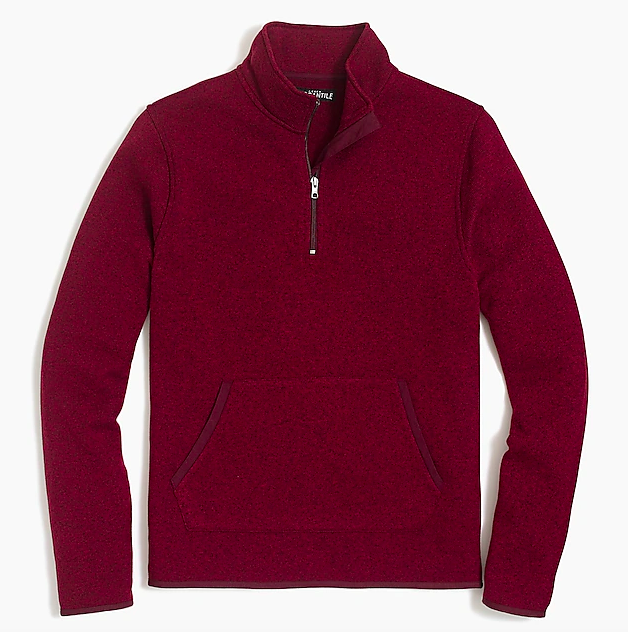 A half-zip fleece sweater to keep you snug as a bug all winter long. 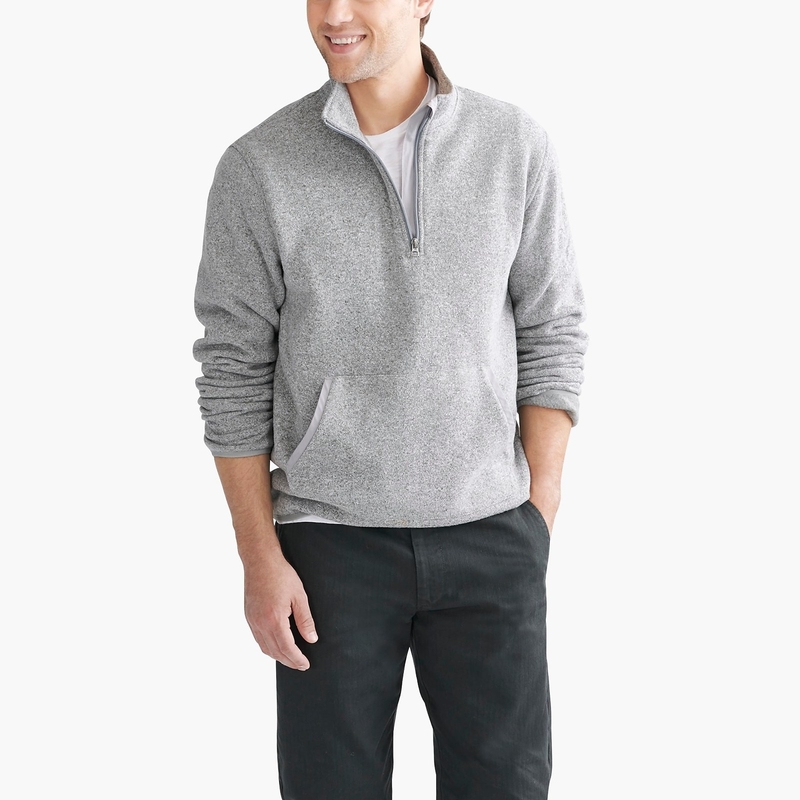 My husband lives in these half-zip, pullover sweaters for most of the year. He has a handful of them and is always looking to add another to his ever-growing collection — and I'm sure he will be this week. Get it for $41.70 (originally $69.50, available in sizes XS-XXL and in five colors). 2. A classic quilted vest you can wear for more than half the year, which is pretty spectacular. If you don't own a quilted puffer vest, now is your chance! The best part about this item is you can realistically wear it through winter, fall, and spring. And for this price? It's a no-brainer. Get it for $39.50 (originally $59.50, available in sizes XXS-XXXL and in three colors). 3. 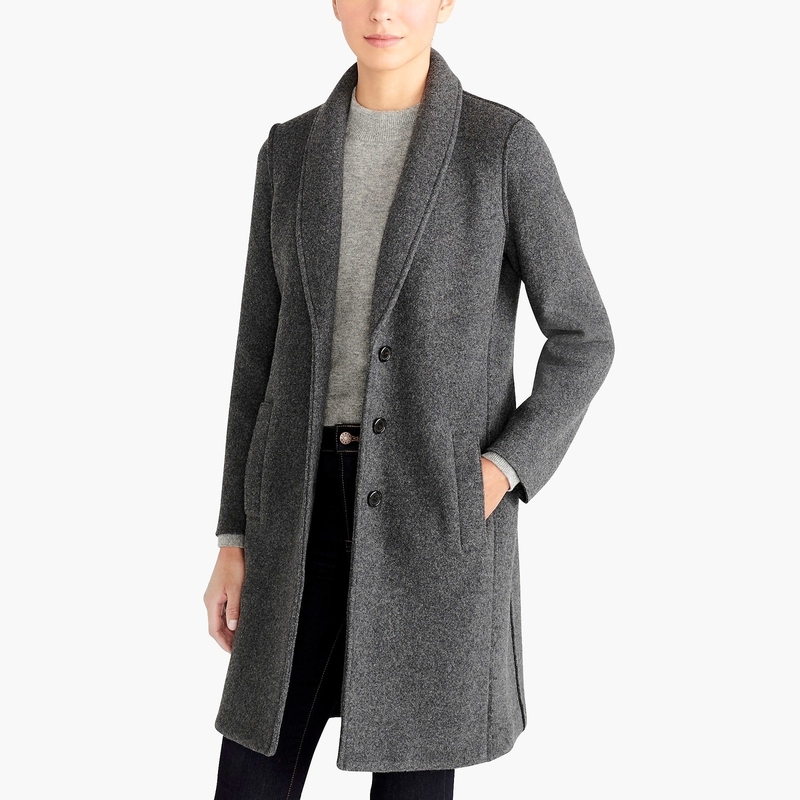 A wool coat so warm, you'll want to curl up in it and take a nap. 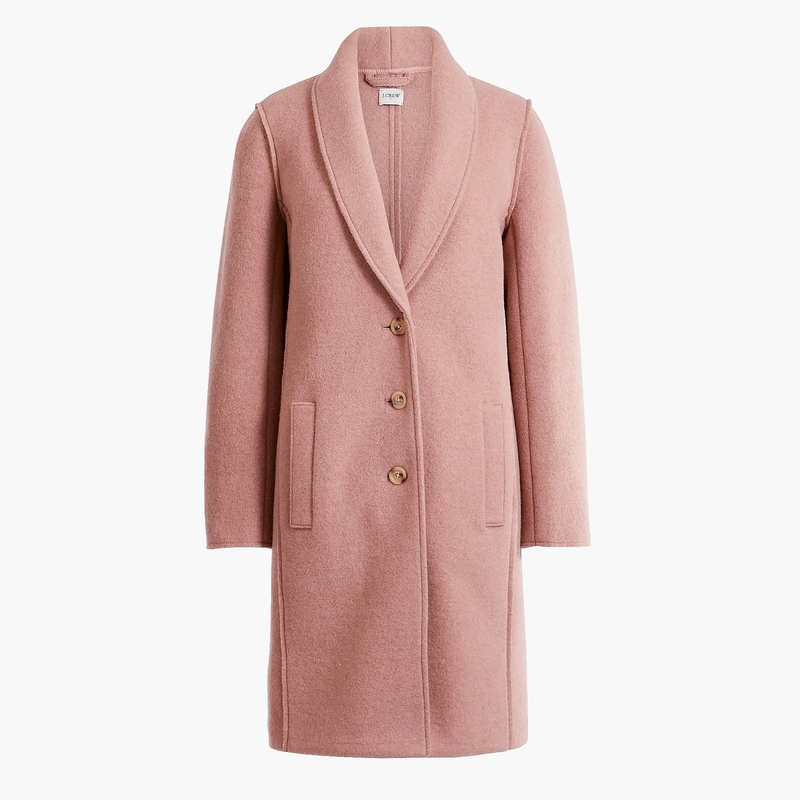 How darling is this coat? I'm loving the blush color almost as much as the charcoal! It's made of wool and should hit mid-thigh when worn. I can picture the end of a Hallmark Christmas movie wearing this while dramatically running towards their soul mate, can't you? Get it for $74.75 (originally $149.40, available in sizes 00-22 and in two colors). 4. A fabulous ponté dress for the little girl in your life who is cooler than you'll ever be. Facts are facts — my 4-year-old cousin is easily better dressed and more chic than I'll ever be. And she would look simply adorable in this dress! With a bejeweled collar and a delicate zipper in the back, this is a must-have for kiddos this Christmas. Get it for $29.70 (originally $49.50, available in sizes 4-16 and in two colors). 5. 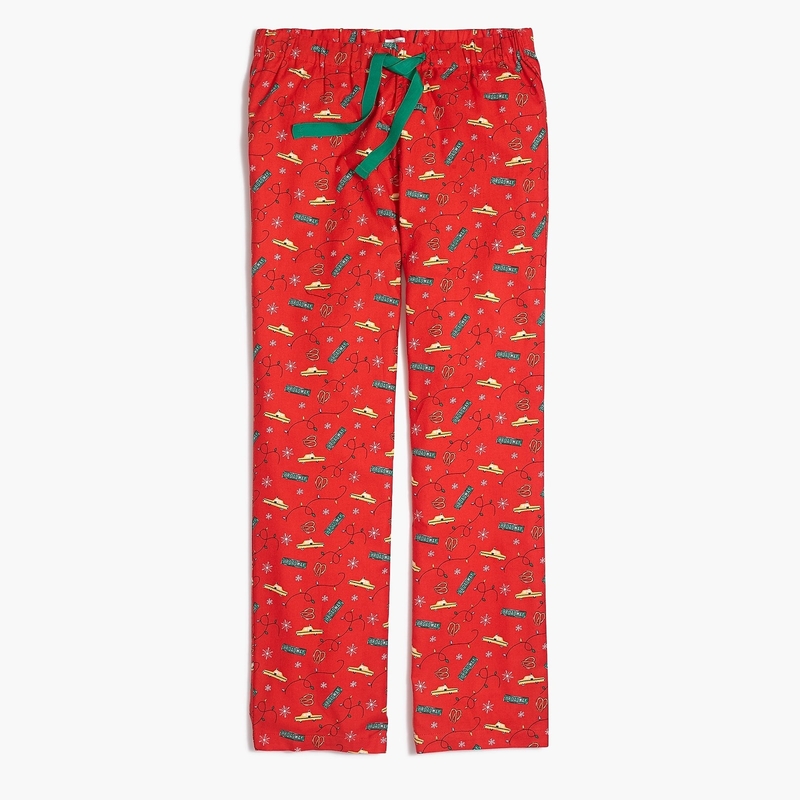 A pair of festive pajamas pants you can wear all winter long (not just on Christmas morning). Flamingos with Santa hats, cactus string lights, and llamas in scarves!? How am I supposed to choose which pair I want? Luckily, this sale is so freakin' good I don't have to. Excuse me while I order these in every style. Get it for $16.95 (originally $29.50, available in sizes XXS-XXL and in six styles). 6. A faux fur coat that will make any mini-diva squeal with delight. Oh, honeyyyyyy! This coat is everything. If I had a daughter you better believe she'd be wearing this to all of her holiday events this year. Do you think I can find this in my size? Get it for $62.70 (originally $104.50, available in sizes 4-16). 7. A mixed-stone necklace to ensure you're dazzling this December. Is there anything better than an intricate statement necklace? Why yes, one that's on sale! The colors will compliment so many outfits and you're friends are sure to be envious when they spot you with this accessory on your neck. Get it for $23.70 (originally $39.50, available in three styles). 8. A classic v-neck sweater for the little boy who never wants to get dressed for family gatherings. We all know (or have possibly been) a child who would rather wear sweatpants to Christmas dinner than a more appropriate outfit. Even the most stubborn of kiddos will agree wearing this sweater would be a fair compromise (and they'll look so handsome!). Talk about a parenting win. Get it for $20.70 (originally $34.50, available in sizes 2-16 and in three colors). 9. 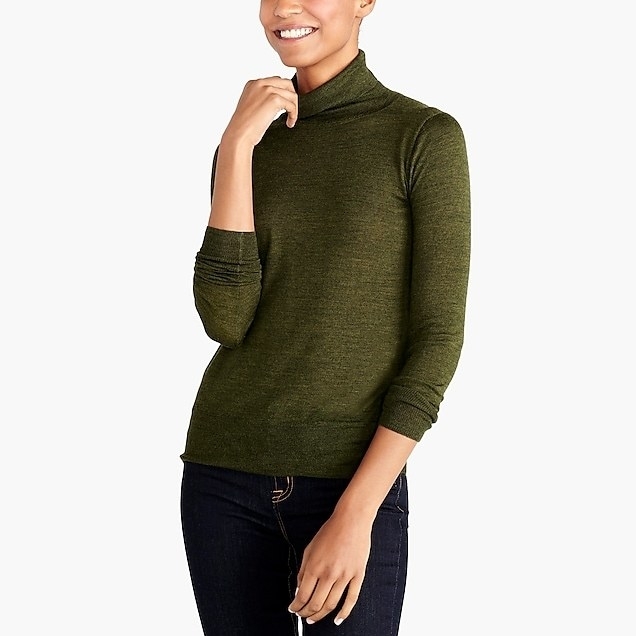 A turtleneck sweater to be the base of all your winter *~lewks~*. 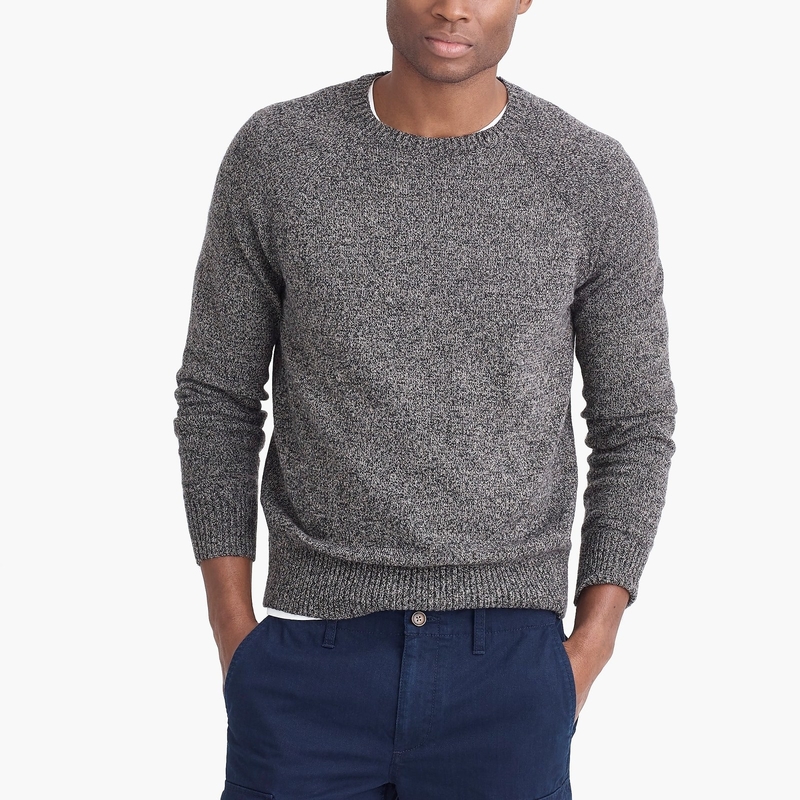 There are few things as satisfying as a basic sweater that can be paired with tons of items you already own. 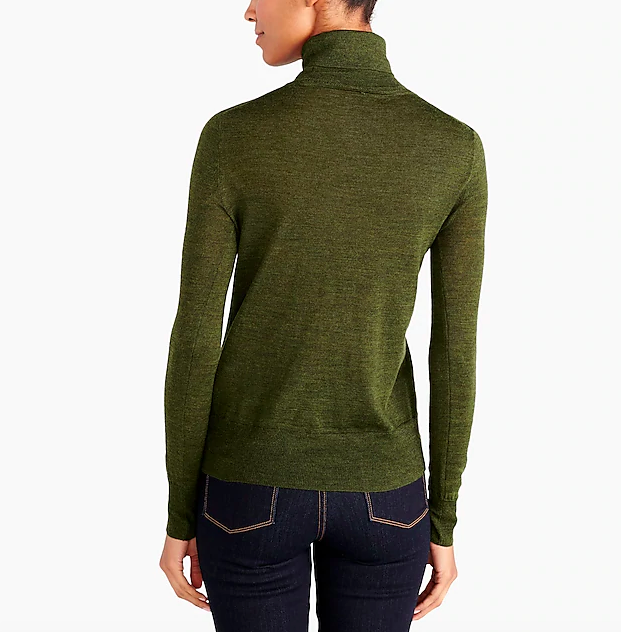 I would happily wear this turtleneck with a faux fur vest, tucked into a skirt, or with jeans. The options are endless! Get it for $26.70 (originally $44.50, available in sizes XXS-XXXL and in siz colors). 10. An adorable handbag that will encourage your baby girl to shoot for the stars. If your little one is all about glitz and glam, she will freak out over seeing this star-shaped bag under the Christmas tree. Good luck convincing her she doesn't need to carry a handbag to school! Get it for $12.70 (originally $29.50). 11. 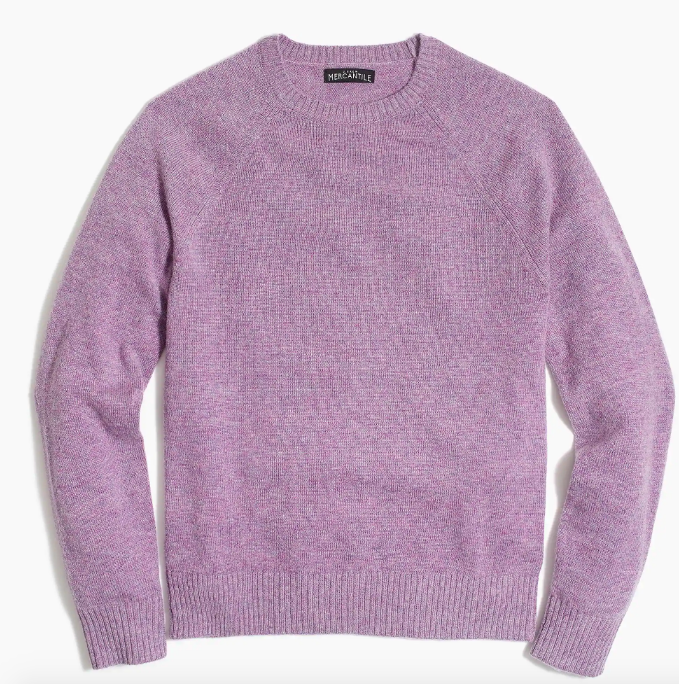 A super soft crewneck sweater you can wear to the office or to Christmas dinner. The biggest problem you'll have with this item is choosing what color to buy it in! From orchid to pine, there are so many lovely options! Don't be shy — add two (or three) to your cart. Get it for $24.50 (originally $49.50, available in sizes XS-XXL and in eleven colors). 12. A pair of leather gloves you can keep on while you take selfies in the snow. Don't pretend that you aren't currently sacrificing your manicure to get the perfect snowfall-photo. Suffer no more by purchasing these lined leather tech gloves. They are as comfortable as they are fashionable. Get it for $21.90 (originally $36.50, available in sizes S-L). 13. A long-sleeve graphic tee the jokester in your family will happily wear all winter. Doesn't this shirt just make you smile? It's sure to make a little kid in your life giggle as well. This cotton sweater features a mischievous penguin and will look adorable in family photos. Get it for $9.95 (originally $19.50, available in sizes 2-14). 14. Festive socks that will make for the cutest stocking stuffer EVER. Each year, without fail, around the holidays I am gifted a pair of socks — and you'll never hear me complaining about it. With their festive string light design and cozy material, this set really speaks to me. Get three pairs for $12 (originally $5). 15. Glow-in-the-dark sweatpants, because it doesn't get much cooler than that. Is there anything more appealing to a child than clothes that glow in the dark? I think not. 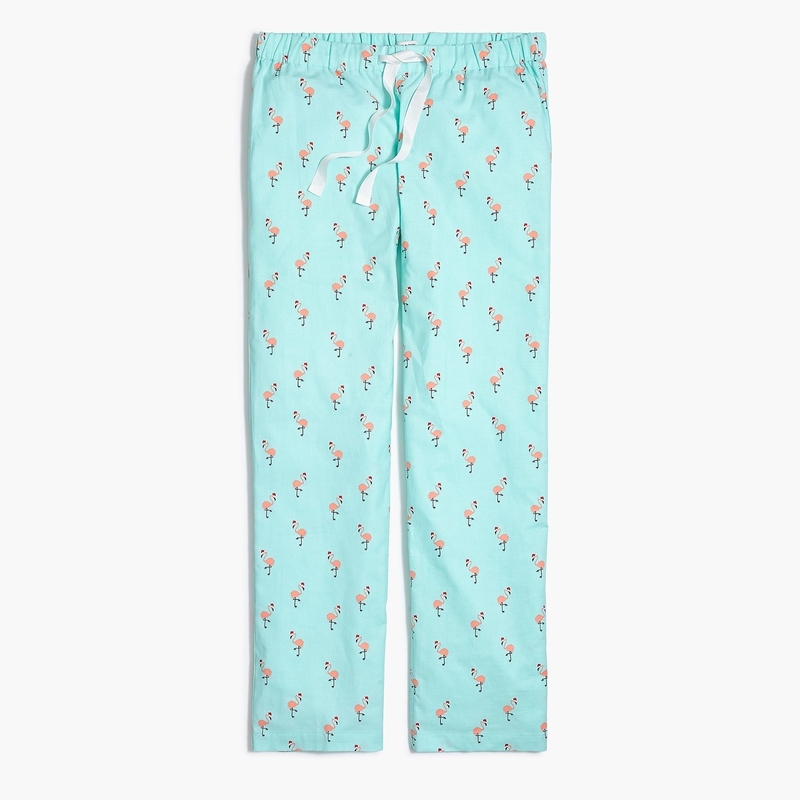 Your kiddo will freak out over the lightning bolts on these sweats — they actually glow! Get it for $20.70 (originally $34.50, available in sizes 2-16). 16. A velvet mini skirt to make you the envy of every holiday party you attend this year. If you're looking for a wow-factor to add to your current wardrobe, look no further. This delicate velvet skirt is comfortable and chic — what more could you wish for? Both the red and black will look stunning paired with heeled leather booties. Get it for $29.70 (originally $49.50, available in sizes 00-24 and in two colors). 17. And tortoiseshell glasses, because even in the coldest of winters you deserve a new pair of sunnies. Ever try driving without sunglasses as the sun reflects against the snow? It's basically blinding. You won't have that problem at all this season after picking up these cool tortoise shell shades. Get it for $11.70 (originally $19.50).